Long drives are the beginnings of deep thoughts, that eventually lead to ideas, that sometimes come into fruition. It was on one such long drive two years ago, while traversing the Northeast, when Chinmay and I came up with an idea to make a short music video, edited to the national anthem. We thought about it, nodded our heads and promptly forgot about it for 24 months. It took about that much time for the stars to get aligned, Chinmay to come back from the Himalaya and start going through hours of footage and finally getting it all compiled. The original poem written by Rabindranath Tagore, “Jana Gana Mana” was officially adopted by the Constituent Assembly as the Indian national anthem on 26th January 1950 – Republic Day. Celebrated with a show of power and progress, Republic Day is known for its display of India’s military power as well as a gala show of India’s cultural heritage. What is really missing is a sense of national pride for the country’s natural heritage and we hope that this video fills that void. The comments and feedback we’ve had ever since we put this video online has been heart-warming and touching.Anonymous said, “In my three decades in India, I had the occasion to hear the national anthem countless times, but it is only today with your video that I can finally relate to it… may be because all those species have no sense of political (artificial) boundaries, even though they know to defend their territories :-)”Aline Dobbie 1 week agoI have shared this lovely film which brought tears to my eyes…Beloved Bharat, Land of my birth but also the Land of the Tiger, the Elephant, the Peacock and all the other beautiful wild creatures of the Indian Jungle and Terai. May we all dedicate ourselves anew to the proper and responsible Custodianship of these wondrous fellow beings in a beautiful ancient yet striving to be modern land. Jai HindThank you all for your heartfelt comments after watching the video.Along with showing the video online, we thought of engaging people even more deeply and had a small contest for those who love taking up challenges. 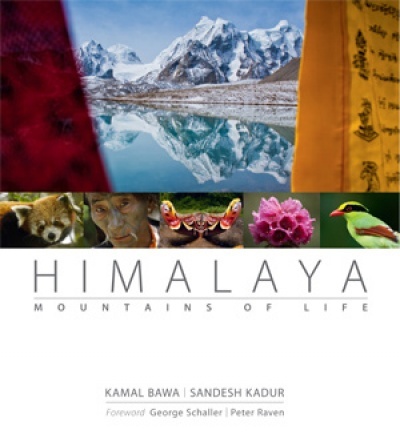 In this, the stakes were quite high – A Himalaya: Mountains of Life coffee-table book (valued at Rs. 3500) for the first one who identifies ALL the species shown in the video clip. Calendars for the 3 best attempts. Unfortunately, nobody WON the prize, but a few came close. Himalayan IbexTiger callingThe one that most people completely missed was the Hoary-bellied Squirrel (@ 01.22) which made a split-second appearance in the silk-cotton tree along with the drongo and the barbet. The second one was the Arunachal Macaque @ 00.38, which many mistook for a Rhesus Macaque or an Assamese Macaque and the third was the Changeable Hawk-Eagle, which some mistook for an Osprey. All in all, fantastic effort by all and I was impressed by the sharp-eyed naturalists who spotted the Hoary-bellied Squirrel which I honestly think is tough to spot! ok, so the ones that came closest to winning are: Priya Singh, Saurabh Sawant & Shardul Bajikar. It is a wonderful task. 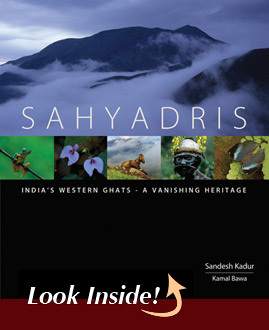 This will help people of all aged in different parts of the nation to feel the charm and pride of our natural heritage. Excellent. I would like to request you to send me the copy with good resolution so that I can use then in our wildlife awareness campaigns. It would really help us. The video is very good. You have covered almost all the important wildlife species. But you have not added our National Bird—Peacock. Please add that. Just replied to your comment as well – will update the video for the next big event with new footage! I’m deeply moved by the whole idea of making our national anthem with our natural heritage, often missed or overlooked in the race of being mordern/advanced etc. These species co-exist with us and they’re OURS. Many thanks for your comments and also for your question. It’s the people and organization like you make us feel proud to be an Indian by heart. Along with the details about the animals of India, it would be very interesting to know the locations where to find some of those exotic animals and birds. Hi, I see this video almost everyday atleast once since the day it was posted @ your facebook profile. beautiful and awsum video. really good effort which can anytime enlighten our time of day by watching the video. sorry that i came across this video so late. thanks and congratulations. HATS OFF…… THE VIDEO IS AWESOME…. THE IDEA IS TRULY INNOVATIVE AND BEAUTIFUL !!! FELT THE SENSE OF BEING A TRUE INDIAN….. WONDERFUL EFFORTS….. U ENCOMPASSED MANY DIFFERENT SPECIES IN SUCH A SMALL DURATION……. TEARS OF HAPPINESS….. WANTED TO BE THE FIRST PERSON TO REVIEW THE VIDEO….. BUT ITS FINE…….. WISHES TO U AND UR TEAM…… CONGRATS… AND THANKS A LOT………..HAPPY,HAPPY,HAPPY AND HAPPY………. AMAZING…..!!!!! sir please make a documentary on striped hyena in INDIA where only few people know about it. 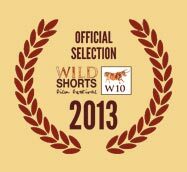 Great video Mr. Kadur, I was just watching your BBC documentary- wildlife in the ghats. It was truly amazing.I always dreamt to be like you. But you know in India, we are still conservative and then stick of the routine stuff, like I am stuck to the corporate world. Big salute to you, you have made your life perfectly worth living. Inspired by you Sir, love your woks..